Anatomy of a hate crime. If this has been uploaded before, let me know and I'll Löschen it.. Wallpaper and background images in the Ian Somerhalder club tagged: ian somerhalder movies anatomy of a hate crime. 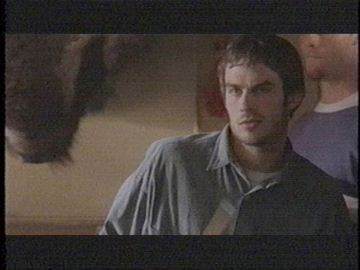 This Ian Somerhalder Screencap might contain fernsehempfänger, fernseher, glotze, flimmerkiste, tv, tv-gerät, idiot box, and goggle-box.